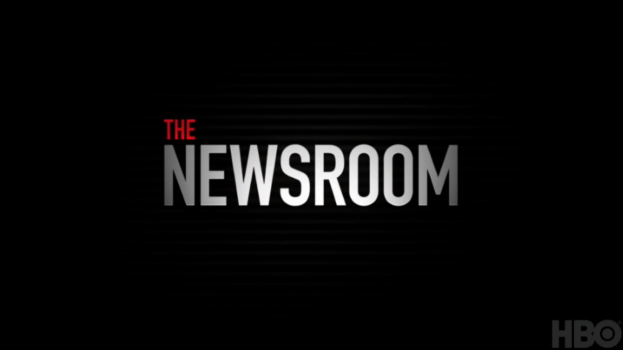 One of the most fascinating aspects of Aaron Sorkin’s new HBO drama The Newsroom, is just how blatantly anti-“spirit-of-the-internet” it is. Which is a sign that the pendulum is about to start swinging in the opposite direction. For years, media was ruled by gatekeepers: editors who manned the doorways and decided what was worthy and what was not. They could do this because the means of production-- printing a book or making a movie-- were too expensive for the average person. And if that didn’t work, they could rely on the fact that distribution channels were tightly controlled: you could only buy books through bookstores. You could only watch movies at theaters or on TV. The web blew all that up and gave everyone a voice. Even something as simple as letters to the editor took an a different cast online: the editors couldn’t just decide which letters they wanted to publish: on the web, every letter (or comment) got published. While this change was much-needed, it now seems close to spinning out of control. This is particularly true of news, for as Sorkin’s mouthpiece, executive producer Mackenzie MacHale (Emily Mortimer) notes, news is about truth, not entertainment. Unfortunately, the gatekeepers of the internet favor articles and videos that instantly go “viral” because they’re outrageous, not because they add to our understanding of the truth. The emphasis on instant popularity and creating “virality” has cheapened the entertainment industry, too. I was recently on a panel where the CEO of one of the many data interpretation companies was adamant that the main benefit of any sort of social TV would be to enable producers to see what plot devices garnered the most buzz, so that they could then go incorporate them into their own shows. I twitched. Visibly. And gently reminded him of the dozens of “me too” shows Hollywood blasts out each year, few (if any) of which meet with success. The key to Oprah isn’t having a talk show with an outspoken-yet-empathetic black woman with weight loss issues as the host. The key to Oprah is Oprah: she has that secret sauce that people respond to and cloning her is not going to give you the recipe. More importantly, the programs and plot devices that get the most social media buzz usually aren’t the most interesting or clever or thoughtful. Like news, they’re just the most outrageous or cute or funny. Because outrageous is what gets click-through. And outrageous makes us dumber in that it doesn’t ask for a whole lot of thought or reflection. Outrageous isn’t prima facie a bad thing; it becomes bad when it’s the only thing, and that is what is starting to happen with the new gatekeepers. But back to the news, which is not about cloning formulas, but about doing actual reporting. There are stories that only a real journalist can do, stories that require weeks, if not months of research, which in turn requires an organization that can finance that research. I’m a bit of a zealot about this: I make it a point to post “only a journalist could have done this” stories to my social networks. (This New York Times story about Apple store employees is a good recent example.) And I do this to point out that while citizen journalists are useful, they ultimately have a small role in the news gathering process: providing on-the-ground, front line details during revolutions or natural disasters. They can give the immediate picture, but not the big one. Ditto the legions of Tweeters who retweet catchy headlines, “5 Reasons Why” lists and any story that sounds vaguely racy or scandalous. Tweeters are very good at reporting the deaths of celebrities. They usually beat the mainstream media. The bulk of the stories that get shared via social media are not, as Sorkin notes, about presenting the truth or both sides of the argument. They’re about presenting something outrageous or funny or cute enough to be passed along. Which is dangerous, because it can make it seem as if a non-issue (Sorkin’s example is Birthers) actually has two equally valid points of view. That’s why The Newsroom has significance beyond it’s actual place in the TV universe. It’s the first popular voice to point out the tyranny of the crowd; the fact that the new gatekeepers may be just as bad as the old ones; and that once again it’s truth and art that suffer. Sorkin’s may be the first voice, but I suspect it won’t be the last.